My Hero Academia does its best to live by the law, but there are some who just cannot keep in line. Sure, the franchise has plenty of law-breaking baddies, but there are heroes who will do the same in the name of justice. However, it looks like one vigilante is ready to take things to the next level.After all, Knuckleduster is advocating a shoot-on-sight response for one villain, and he will be the one to pull the trigger if need be. 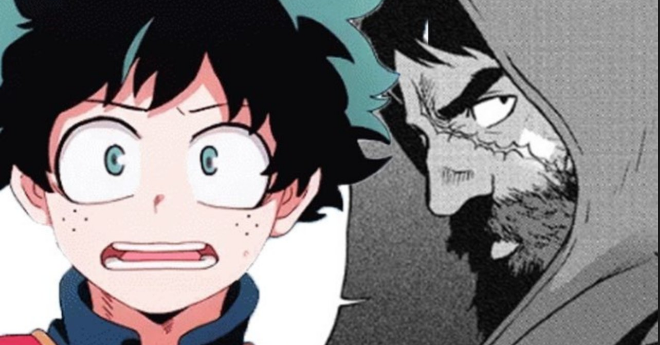 My Hero Academia: Vigilantes published a new chapter, and it was there fans met up with a favorite vigilante. Knuckleduster came back after some time away, and he was confronted by a detective asking after a new villain. It was then the vigilante learned a man is going around Tokyo with the acceleration quirk he wielded once, and it takes him no time at all to tell the police they got to take the villains out for good. So far, fans know very little about the man going around Tokyo with Knuckleduster's old quirk, but fans know he is dangerous. Not only has the villain encountered the police a few times, but he nearly killed a fellow baddie known as Octoid just for the fun of it. Now, Knuckleduster is ready to take out the guy marring his quirk's legacy, but the hero might not be expecting to learn his former pupil is the one behind this whole mess.